While Trijicon might be most famous for its legendary ACOG series, the company’s beginning were more humble. In 1985, Trijicon (Which was founded as Armson USA in 1981) began to manufacture the Bright & Tough tritium-illuminated night sights for handguns. The company still manufactures the Bright & Tough night sights to this day, and it continues to be an exceptionally popular product. It is perfect for those who want to add night vision capabilities to their gun, rather than a flashlight or laser. In 2011, Trijicon introduced two new additions to their iron sight section – the HD Night Sight series, and the Trijidot. The HD Night Sight employs a more tactical approach to low-light (or no light) target acquisition. 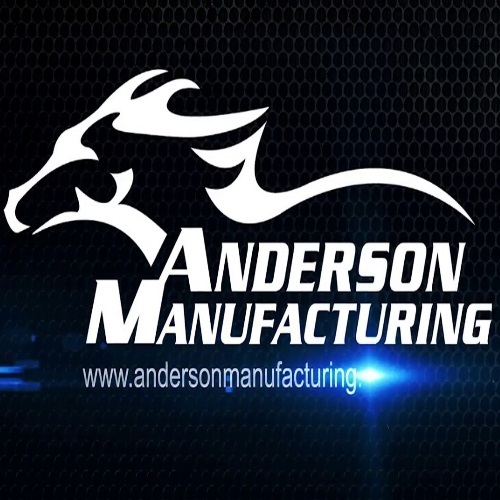 The company’s engineers developed this particular series with law enforcement and military use in mind, and it is the choice of many agencies and police departments worldwide. The Trijidot was also truly a revelation. A fiber-optic bead sight, specifically designed for ribbed-barrel shotguns. It really was a game changer, as shotguns go. Let’s take a more in-depth look into each of these iron sights. This line is commercially available for the following brands: 1911, Beretta, Browning, Colt, CZ, Desert Eagle, Firestar, Glock (including suppressors), H&K, Kimber, Remington, Ruger, Sig Sauer, Smith & Wesson, Springfield Armory, Steyr-Mannlicher, Taurus, and Walther. 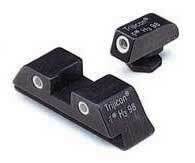 Aside from those brands, Trijicon has a specialty shop (Tooltech Gunsight) to help out owners of other brands. Trijicon goes a great deal to ensure customer satisfaction, and it shows. 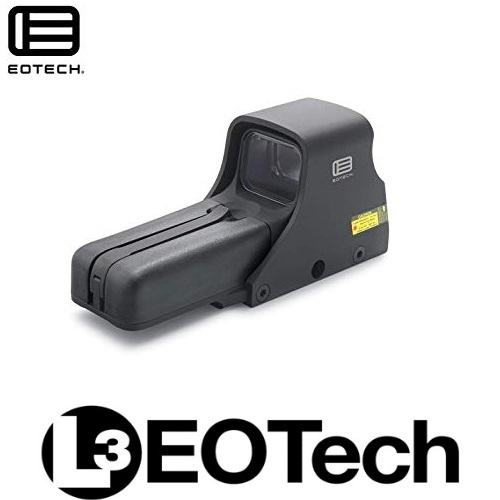 It is one of the most respected and well-known weapon’s optics manufacturer in the world. Each sight’s metal body is designed to fit the height and build of a certain brand. There are also suppressor sights available for the Glock handgun. The front sight is always green, but the rear sights are offered in yellow, green, and orange dots. The sights are tritium-illuminated, and are guaranteed for 12 years (green and yellow dots) or 5 years (orange dots). Each tritium dot is capped with a sapphire lens, which lends itself to proper light distribution, and protects the tritium lamps from harm. The Bright & Tough sights may also be used as daytime sights, thanks to their distinctive white rings. What about technical specifications? We will be looking at the GL01 model, which fits many Glock models and features green lamps on both the front and rear. The Bright & Tough is so named for a reason. The tritium lamps sit on a cushion of silicone and rubber. This way, the lamps are protected from recoil and shock. This line is commercially available for the following brands: 1911, Beretta, Colt, FNH, Glock, H&K, Ruger, Sig Sauer, Smith & Wesson, Springfield Armory, and Walther. Like the Bright & Tough series, each HD sight is designed to fit a certain brand. The body is made of metal, and the sights sit on silicone rubber cushions. The tritium lamps are surrounded by a ring of glow-in-the-dark paint, which quickens target acquisition in transitional light. This means that if you are moving from a well-lit area to a dark room, you will have a nice glowing sight to fix on your target. The glow is only temporary, normally lasting between 4-13 minutes (depending on the color and charging method), but it is more than enough when you are moving through different areas. Obviously, the tritium will continue to glow even after the paint has dimmed. 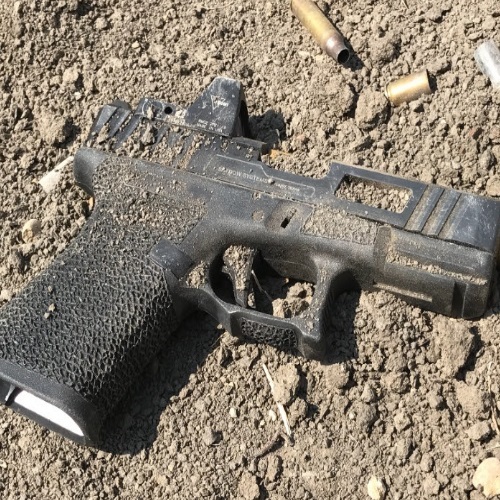 For tech specs, it is back to the Glock model – GL101Y. 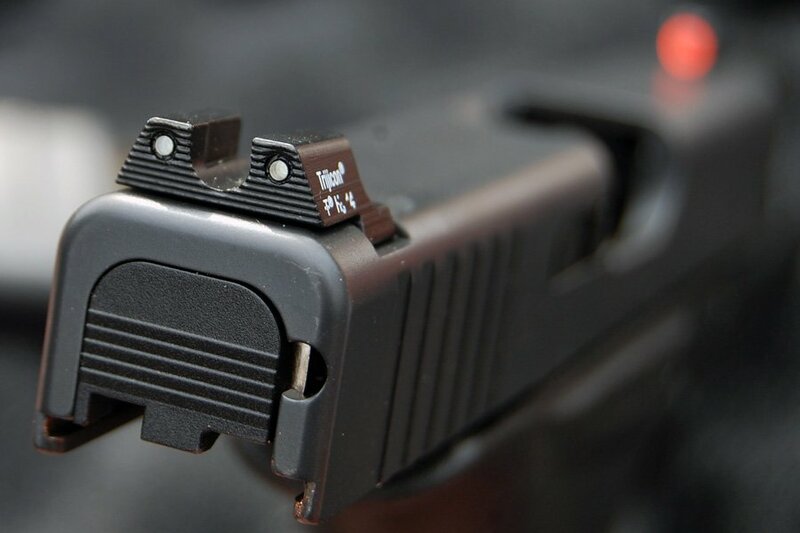 The rear sight notch has a nice U shape to it, and it is serrated and angled to reduce glare. The front sight is hooked, for one-handed emergency slide maneuvering. The color in the paint keeps bright for years. The tritium, as always, is covered for 12 years. The HD sights are significantly taller than the factory sights, and that gives you a much larger picture to work with. The HD will provide you with a way to acquire your target quickly and easily, day or night, dark or bright. For this reason, it is a go-to accessory for many agents, soldiers, and police officers. The Trijidot is available for the following shotgun brands: Benelli, Beretta, Browning, Ithaca, Mossberg, Remington, Stoeger, and Winchester. It is a fiber-optic of the highest quality, and it has a protective sleeve over it. The sleeve is of anodized aircraft-grade 6061-T6 aluminum, and that gives the Trijidot true durability. The housing is designed to withstand shock, recoil, and high temperatures. Like the other two brands of Trijicon iron sights, this illumination source is also capped with sapphire, which spreads the light evenly, and keeps the optic safe. The Trijidot is great for tactical and defensive use, but it also has a place in other scenarios, like hunting or clay-shooting. Comes in green or red fiber optic. Thanks to the fiber optic, the green really stands out, no matter the conditions. 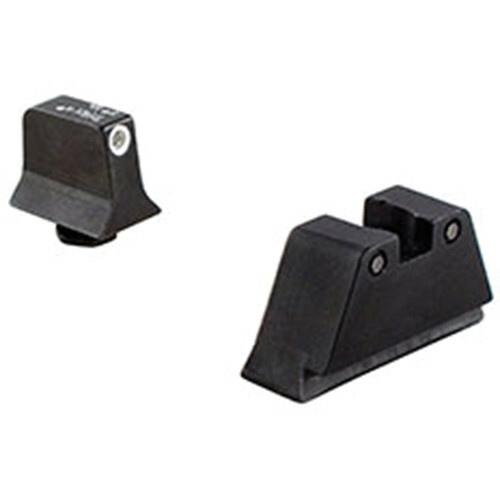 Trijicon’s series of iron sights keeps expanding to include more brands and models. As with all Trijicon products, their iron sights are covered under a limited lifetime warranty for defects in materials and craftsmanship. This is a brand we have all come to know and trust. Whether you are a civilian, military, or law enforcement; whether you are looking for a way to protect your home, conduct a safer room-to-room search, or feel safer on a trek – nothing can beat Trijicon’s optics.